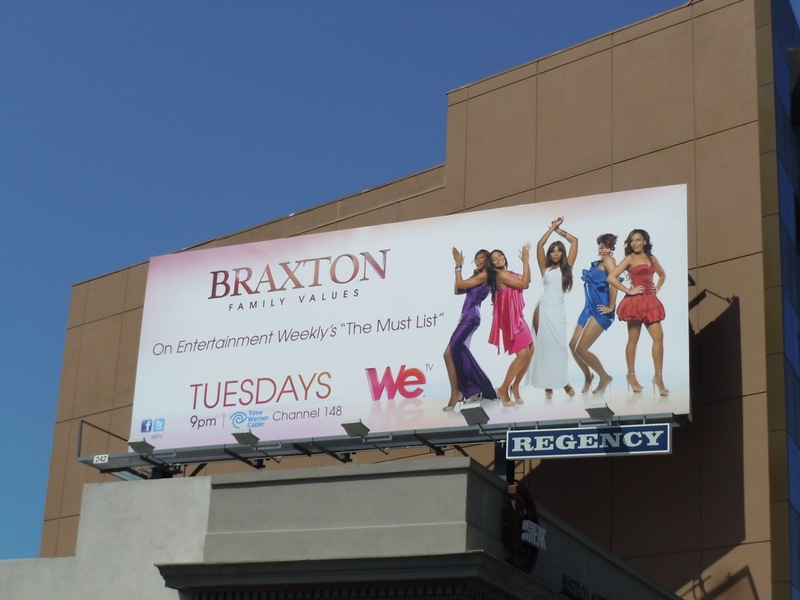 Un-break your heart folks, Toni Braxton and her outrageous family are back for a third season of their reality TV series. The show featuring the Grammy-winning singer/songwriter and her four sisters - Trina, Tamar, Traci and Towanda, plus her mother Evelyn, are back with more drama (and we'd expect nothing less from a family of divas). If you're a fan of the R&B singer, be sure to check out Toni Braxton's Belle costume for Broadway's Beauty and the Beast Musical from 1998 on display. 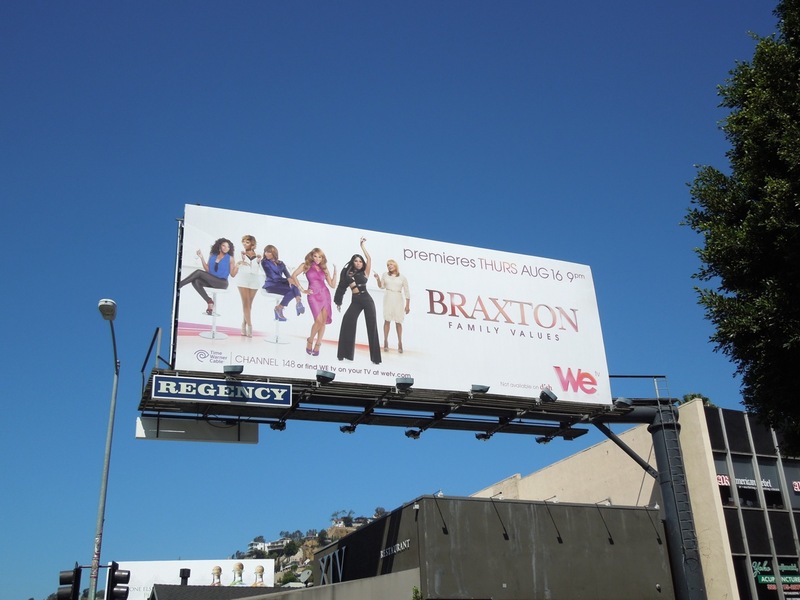 The billboard for season two was snapped along Sunset Plaza on May 25, 2011, whilst the season three creative, featuring their mother, was spotted along Sunset Boulevard at Crescent Heights Boulevard on August 15, 2012. 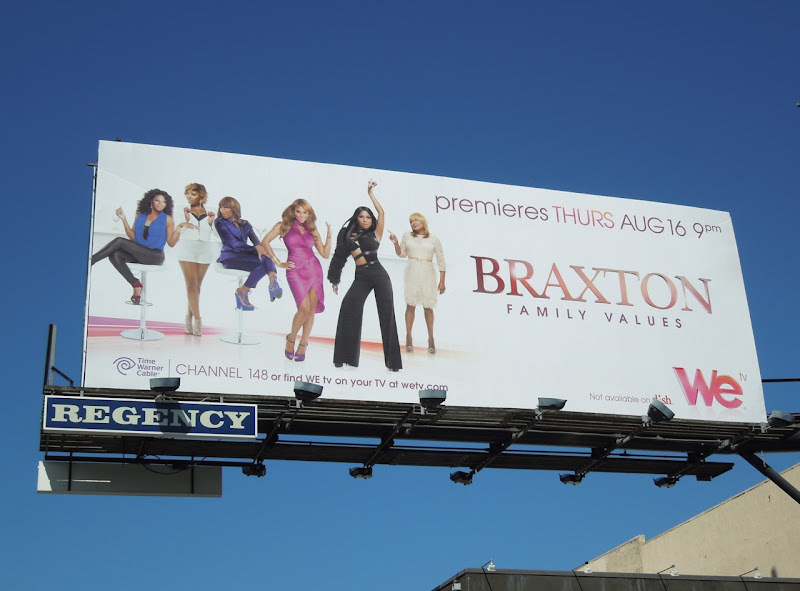 If it's family drama you like, be sure to also take a gander at these billboards for Gene Simmons Family Jewels. 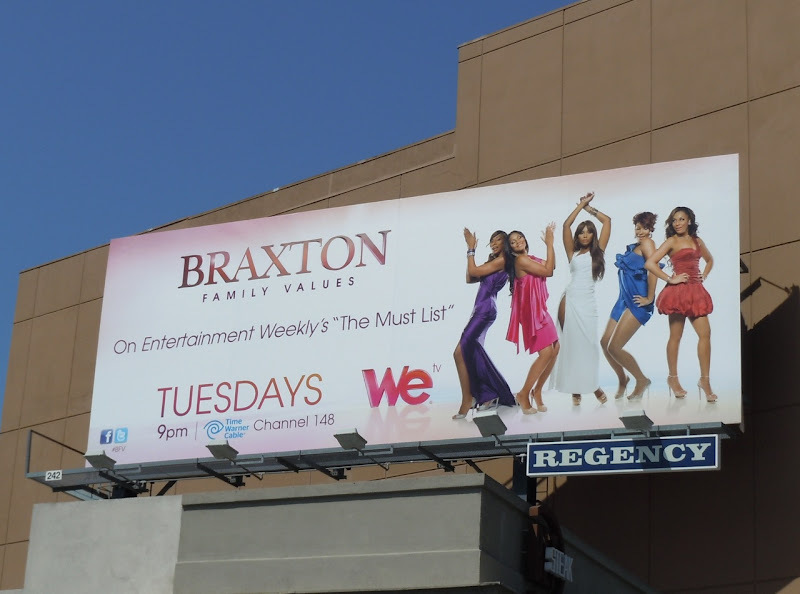 UPDATED: The Braxton family's youngest sister Tamar has received her own spin-off reality series to chronicle her young marriage, new home and fresh set of challenges. 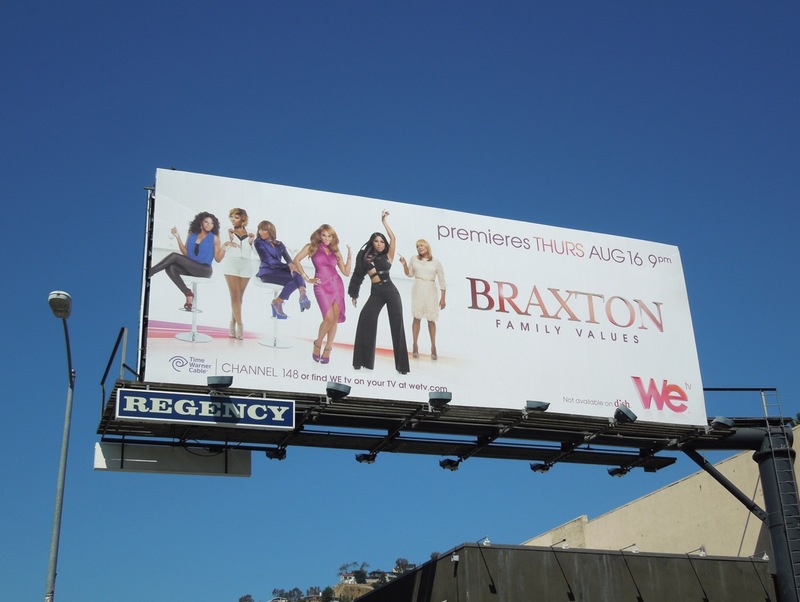 Here's the billboard for Tamar & Vince in the same location along Sunset Boulevard on September 17, 2012.